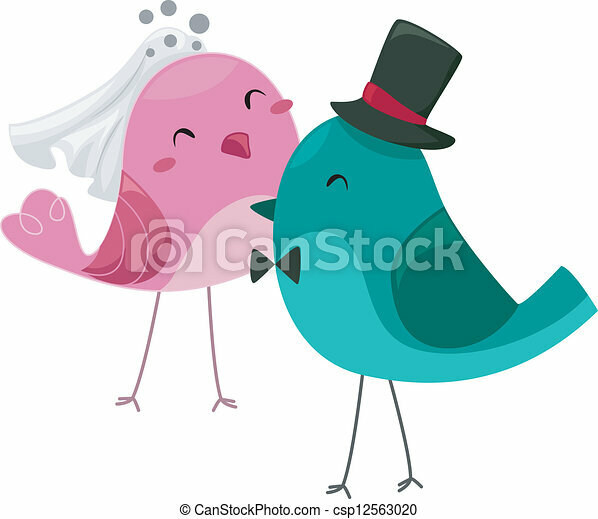 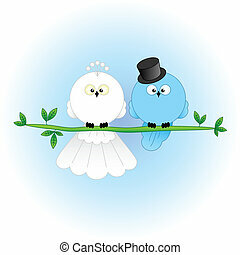 Illustration of bride and groom birds. 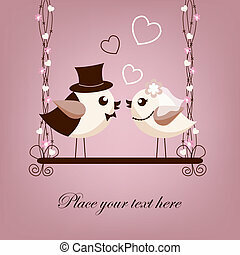 Vintage logo collection for wedding photographer. 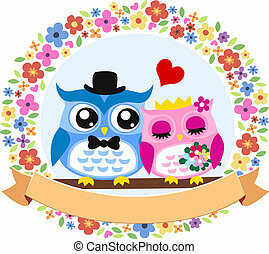 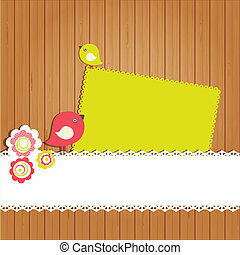 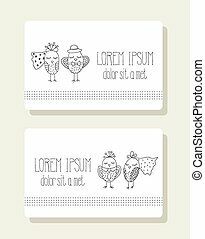 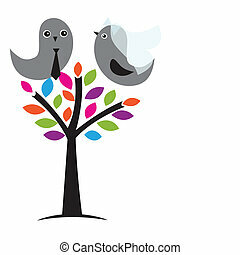 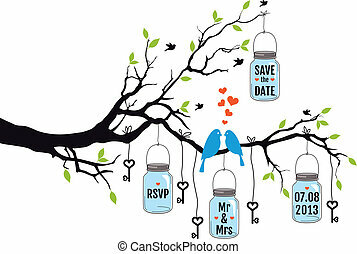 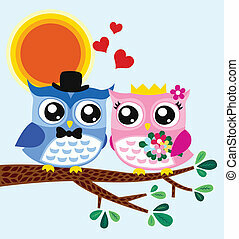 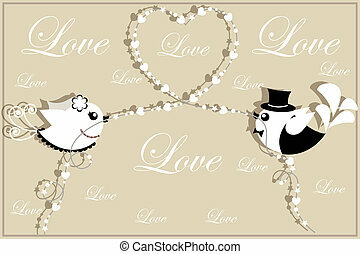 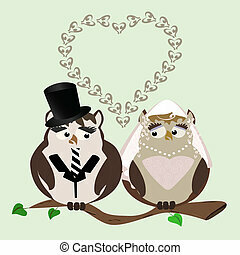 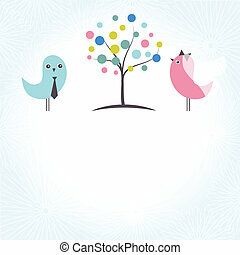 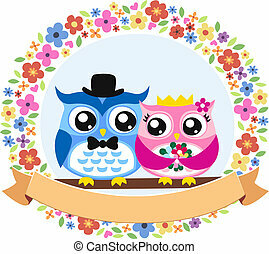 Cute logos with bride and groom, birds, trees and flowers. 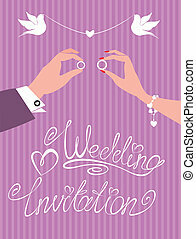 wedding invitation - groom and bride hands with wedding rings.